Cannabinoid receptors have been found in non-human mammals, birds, reptiles, fish and even some invertebrates, so there are plenty of animals that react to marijuana. Most of those reactions aren’t that surprising, or all that interesting, though. Dogs and cats act kind of funny and groggy after eating weed (please don’t feed them your stash, no matter how YouTube famous you want to be, though—the stuff can be toxic to them, especially dogs), and monkeys exposed to THC keep wanting more. Spiders, though, are infinitely interesting when they get stoned because the effects of the drug are clear in the odd-looking webs they build afterwards. Getting spiders high for science started in 1948, when German zoologist H.M. Peters got fed up with trying to study web-building behavior in spiders who wouldn’t do him the courtesy of working on his schedule. His garden spiders tended to build their webs between two and five a.m., and he asked his pharmacologist friend P.N. 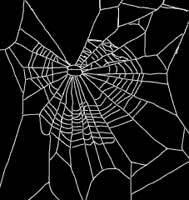 Witt if there might be some chemical stimulant that would coax the spiders into building their webs at a more reasonable time. 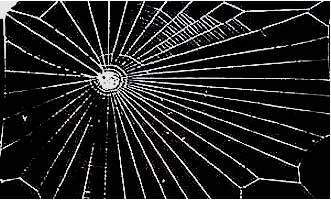 Witt tried giving the spiders some amphetamine and, while they kept building at their usual hour (to Peters’ dismay), the two scientists did notice that those webs were more haphazard than normal. Over the next few decades, Witt continued to dose spiders with a smorgasbord of psychoactive substances, including marijuana, LSD, caffeine and mescaline, to see how they reacted. 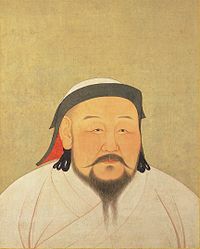 Since spiders can’t use tiny bongs or drink from little mugs, Witt and his team either dissolved the drugs in sugar water or injected them into flies and then fed the spiders with them. 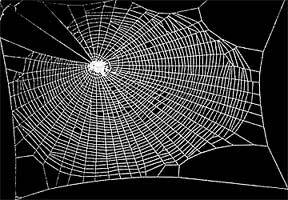 The drugs affected the size and shape of the spiders’ webs, the number of radii and spirals, the regularity of thread placement and other characteristics. By comparing photographs and measurements of normal and “drug webs,” Witt and other researchers could see how the different substances affected different aspects of the web and, by extension, the spiders’ motor skills and behavior. As we commune with our inner monkey, we might recall that it was on this date in 490 BCE – ironically, as this year it’s Labor Day – that Pheidippides of Athens set out on the run that inspired the Marathon. 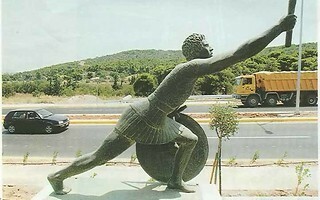 Pheidippides was on a mission seeking military support from Sparta in defense against the invading Persian army. Tradition (that’s to say, Herodotus) holds that he ran the ran 246 km (153 miles) between the two city-states in two days. The Spartans, constrained by religious law, were unwilling to help until the next full moon. So two days later, Phidippides ran the return leg alone. Pheidippides then ran the 40 km (25+ miles) from the battlefield to Athens to announce the Greek victory over Persia in the Battle of Marathon; he uttered the word Nenikékamen (“We have won”), collapsed, and died on the spot from exhaustion.